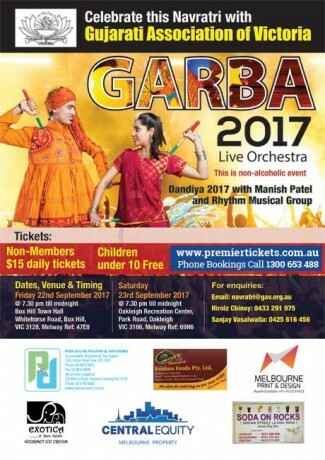 Gujarati Association of Victoria Presents Gujarati Garba Night with Manish Patel & Rhythm Musical Group. Mouth watering Gujarati street food available at reasonable prices from Melbourne top caterer. Unpack your traditional attire – Colorful Ghaghra-Choli & Kurta-Pyjama before you become a part of the evening that awaits you. Get ready for another simply mind blowing performances. Just get ready for a delightful evening of Dandiya & Garba & celebrate full fervor! Gates will open at 7:00 pm for the 7:30 pm start. Please be there early to avoid unnecessary rush. Alcohol & Smoke Free event. 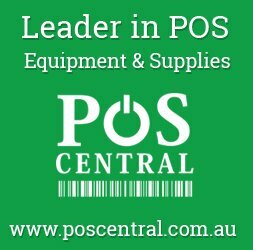 Premier Tickets is Australia’s leading online event ticketing & marketing solution provider. We act as a channel between the event organizers and end customers helping our clients with hassle free event ticket booking, event marketing & promotion solutions. Contact us for any of your ticketing & marketing needs for Navratri Garba 2017.